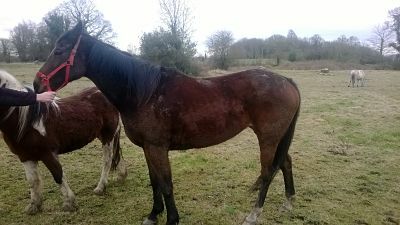 Hayley is a 2006 15.3hh bay Thoroughbred mare. She was abandoned in the Dublin area. She was in poor body condition but should make a full recovery. Hayley has a wonderful temperament.